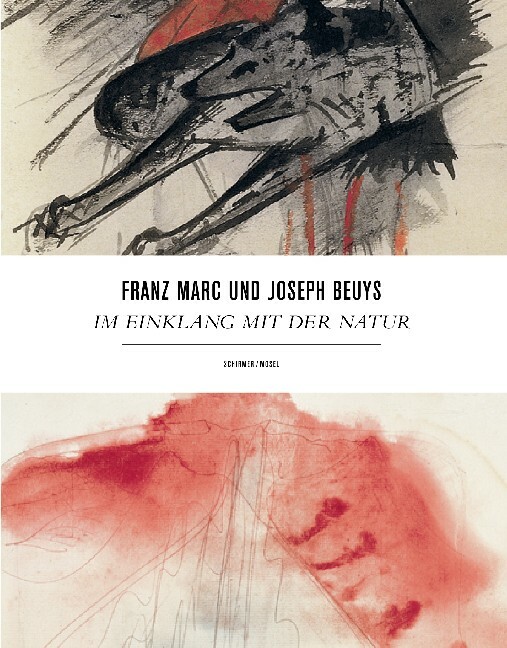 A concept of nature based in German Romanticism unites Franz Marc and Joseph Beuys. Marc makes the horse and roe symbols of the spiritual, in Beuys’ work, the stag, swan, bee, and hare draw their symbolic value from various contexts coined into a new mythology and charged with social relevance. Juxtaposing selected works, this book presents the artists as kindred spirits. Schirmer/Mosel. Edited by Cathrin Klingsöhr-Leroy and Andrea Firmenich. With texts by Cathrin Klingsöhr-Leroy, Eugen Blume, Erich Franz, Isabelle Malz, Heike Fuhlbrügge, Andreas Röder, Johannes Janssen and Barbara Strieder208 pages, 135 colour and duotone plates, 21 illustrations. Size: 23 x 28 cm, hardcover. German edition.